User-generated content has shown to be tremendously effective in marketing. That’s because the trust in brands is generally very low, while the trust in peers is high. Everyone knows that brands only have one goal: to sell more. As a result, everything the brand do and say is done in order to help them get closer to that goal. Therefore, when brands say ”we are the best company in the industry”, or has ”the highest-quality products on the market”, or anything else that is supposed to convince you to buy from them, people take the words with a large pinch of salt. But when their peers say it, you don’t expect them to have an agenda with what they’re saying, right? When a friend strongly recommends a restaurant or a hotel, do you question them? This is what makes user-generated content so powerful in marketing. A kind of trust that brands can only dream of. And you might believe that professionally-created content holds a lot of trust, but the statistics speak clearly that the power of user-generated content in marketing is greater. I’ve already revealed the main reason why user-generated content is powerful in marketing, and that is trust. Obviously, if people don’t trust what you’re saying, you won’t be able to impact your audience into buying from you. UGC-based ads get 4x higher click-through rates and a 50% drop in cost-per-click than average. Brand engagement increases an average of 28% when users are exposed to a combination of user created product videos and professional content. User-generated content is 20% more influential than any other type of media when it comes to influencing Millennial purchases. 71% of consumers feel more comfortable buying a product after researching user-generated reviews. Across the whole U.K, 42 percent of adults distrust brands, and 69 percent distrust online advertising. But on the flip side, 92% of people trust peer recommendations. User-generated content is a type of peer recommendation *hint hint. But you are probably not here because you need to be convinced about the power of user-generated content in marketing. You’re probably here because you know the power of user-generated content (UGC), but you’re struggling to get people to share it. It’s clear that if you aren’t using UGC in your marketing. you’re missing out on tremendous opportunities. And you’re especially missing out if your audience is creating User-generated content, but you aren’t implementing it into your marketing. That’s essentially like leaving money on the table. But how can you convince your audience to start sharing user-generated content if they aren’t? That’s exactly what we’ll dig into in this article. A study has found that more than 50% of consumers want a brand to tell them what type of content to create and share, but only 16% of brands actually do. This tells us quite a lot. Would that mean that by simply telling your audience what type of user-generated content they should share, you can get more people to share user-generated content? You might have expected a complicated answer with equations and mathematical formulas on how you encourage your audience to create and share user-generated content on social media. But I like to keep it practical. And while this isn’t the only way to get more of your customers to share UGC, it is definitely the easiest way. And even if you can just convince one person to share UGC on social media, that’s still one person. There are two ways you can encourage your customers to share user-generated content, and the first way is to just tell them! How can people know what you want if you’re not telling them? The other step is to tell them what type of user-generated content you want them to create and share. And as you can see, they’re integrated in each other, because while you can satisfy with just telling them that you’d like them to share UGC (read ask), they still won’t know what type of UGC to create, and obviously, people want you to tell them what kind of UGC they should create, too. Generally, there are two kinds of people that share their experiences with brands through user-generated content. And remember, negative user-generated content is still UGC, and while you don’t necessarily want to use that in your marketing. Instead, you should see UGC complaints as a way for you to make things right again. And remember, if you ask people to share more user-generated content, you’ll have to be prepared that some of it might be negative. The good news with this though, is that for every customer who bothers to complain, 26 other customers remain silent. This means that you can identify problems that many of your customers are facing, but not telling you. But in this post, we’re not going to focus too much on customer complaints with user-generated content. Instead, we’re going to focus on how you can encourage your customers to create and share positive user-generated content which you can leverage in your marketing. I just think it’s important that you’re prepared for receiving both negative and positive UGC so you can deal with it in the best possible way. The good news is that there are strategies you can leverage to encourage your customers to share user-generated content that is only positive, but I’ll go more into detail on that further on. So, to get your customers to start sharing UGC, begin by asking them to do so. And it’s important that you have the audacity to ask your audience to share it. It isn’t hard to just share social media post where you say ”share your experience with us by using the hashtag #yourbrand”, for example. Preferably, you should also tell your audience what they should create. 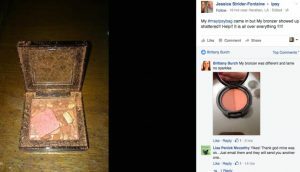 If you want them to share an image of themselves using your products, then tell them! If you want them to share a video when they’re using your product out in the field, then tell them. When humans are forced to think less and are told exactly what they should do, they’re generally more likely to do it. The best way to get your customers to share UGC is to give them a reason to do so. 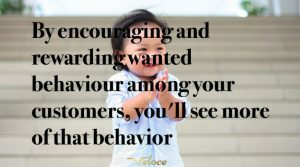 Sure, simply asking your customers to share it will convince some people, but the truth is, it will convince far from everyone. This is why you need to incentive your audience into doing so. And give them a greater reason than just ”because it is fun”, or ”because we want you to”. If you’re asking your audience to do something, without giving them a lot in return, they’ll have the leverage. ”if you give value to someone first, you have the leverage”. Remember that no-one wants to be in a relationship where they are the only one who gives. A relationship can only be successful if it is a give-take relationship. No matter if it’s a relationship between two people or between a brand and customer. This is why you want to give your audience a reason to share user-generated content. That reason can be huge, and it can also be tiny. Have in mind that when you ask your customers to share user-generated content, you are asking for their time and effort. But what do you give them in return? The bigger the incentive, the more people will do what you ask them to. A brand that has realized the importance of this is children’s clothing store, Black N Bianco. Their incentive is that they give the person who shares user-generated content gets 20% off. You should also note that they clearly tell their customers what type of UGC they should share. In their post, they write ”share your photos!”. The tactic they’ve used is quite a clever one, because not only will they get user-generated content from it, which they can leverage in their marketing, but what’s more, the 20% discount will also encourage people to buy more from them. But you should have in mind though, that these types of campaigns only encourage very loyal customers and people who are thinking about buying but aren’t quite convinced yet. Another example of a brand that has used a different incentive people to share user-generated content is The Michael J. Fox Foundation for Parkinson’s Research which has teamed up with biopharmaceutical company UCB. 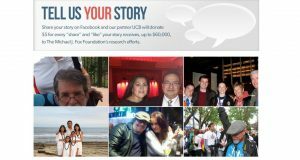 Their campaign “Tell Us Your Story” Facebook campaign was designed so that people would share their personal experience with the disease while raising money for research. While the people who are telling their story and sharing user-generated content aren’t getting anything in return for it, doing so will make them feel good about themselves because what they’ve done helps support research that will ultimately help other people. Doing this leverages the human psychology and emotions because, by nature, humans are egoistic, but if they can donate money without it coming from their own pockets, they can feel good about themselves. What’s even more clever is that money was donated for every like and share a piece of UGC receives. People will spread it like crazy, it will get a ton of exposure, and more people will join the movement, thus helping the campaign go viral. Humans love to do things for a good cause. Another brand that has created a user-generated content campaign and has incorporated an incentive is Winerist. And you should note that in this campaign, they tell their audience explicitly what type of content they’d like to see by writing ”send your photos from the harvest”. A small detail that can have a big impact on how many people actually share user-generated content. And the truth is, something so simple as being featured on a page might be a good enough of an incentivize to your customers. People love feeling like they’re part of a process and of a brand, and showcasing their UGC is a way of doing so. Watch brand Daniel Wellington uses this strategy to gain UGC on social media. And since Daniel Wellington has over 3.9 million followers on Instagram, a lot of people feel honored to have their work featured there. What’s more, they also have a particular page on their website where people who share user-generated content can get featured, thus being yet another incentive that the brand leverages. If you want people to get people to share user-generated content on social media, you need to give them a reason to do so. But if you want to get more people to join the movement, you need an audience, people who can actually share it. One way to get more people onboard is to create a campaign that generates buzz. A great example of a campaign that successfully skyrocketed the amount of UGC is Coca-Cola’s ”share a Coke with” campaign, that not only increased the amount of UGC but also granted the brands tons of marketing benefits as well. In fact, it is estimated that the Share a Coke campaign increased Coke’s share of the category by 4% and increased consumption by young adults by 7%. The fact that the brand personalized the bottles created a recognition in the brand, and encouraged their customers to share user-generated content just though the fact that the customers were personally connected with the product, making them much more likely to share it on social media. In other words, the campaign was highly shareable, and encouraged UGC, without even having to ask for it. 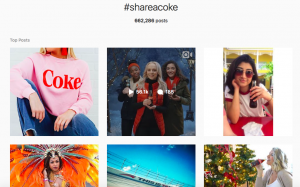 In fact, on Instagram alone, there are more than 660K posts shared with the hashtag #Shareacoke. Not only is this a tremendous amount of user-generated content for the brand, it also means a ton of exposure. Now obviously, few brands have the same sheer marketing budget as Coca-Cola, but if you can create a campaign that generates buzz, and that is shareable, you can greatly increase the user-generated content being shared, based on your brand’s preconditions. Of course, easier said than done, and the vast majority of campaigns won’t be a home run like Coca-Cola’s, however, you can use the personalization strategy as a starting point for your very own campaign. Because if you can get your audience to resonate with it, they’ll be far more likely to share UGC. And personalization is a huge deal in doing so. Moreover, when developing your campaign, you also want to leverage the power of building up hype. If you can get people excited about your campaign before it is even launched, you know you’re onto something. You don’t necessarily need to give every single person who contributes to user-generated content something in return for creating it. In fact, a lot of the times, people will be encouraged to create it knowing that they have a chance of getting something. 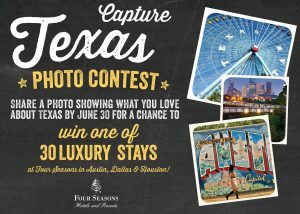 And you do this by creating a contest developed for encouraging user-generated content. The most popular way of encouraging customers to share user-generated content is to run a contest where the contestants have to share UGC in order to join. And remember: the better the prize is, the more people will be willing to do it. If people have to spend time coming up with an idea, creating it, and sharing it, and your prize is a 10% discount, few people will be willing to do it. Unless your product costs a million bucks, of course. Moreover, the better the prize is, the more people will actually take the time to create a piece of user-generated content that is amazing. Otherwise, people might put in the minimum amount of effort, and you’ll stand there with low-quality UGC which you won’t be able to use in your marketing. Creating content is both expensive and time-consuming as a brand. And this is another main reason for getting your customers to share user-generated content. Instead of having to pay a huge amount of money to have the content created, you can take advantage of the skills that your customers have, and ultimately pay a lot less for content, while both getting free exposure as they share it, but also a piece of content that holds a lot more trust than your professionally created pieces of content. The most popular social media contests you see are contests where you have to ”tag a friend” or ”like this post”, but remember that there’s a difference between a contest and a giveaway. When you run a giveaway, the winner is randomly selected. When you create a contest, the winner is based on performance. To encourage your customers to share user-generated content, you can create both contests or giveaways, but obviously, you want to encourage high-quality UGC, and this is why the previous mentioned is more popular. If you want to further engage your audience, you can have them vote for the entry they think is the best. What’s more, by doing this, people will start promoting their piece of content to get more votes, thus gaining you more visibility. Hashtags are great if you want to get more exposure, especially on a platform like Instagram, so obviously, you should leverage those. But you don’t only want to use hashtags for gaining more eyes on your own content. In fact, hashtags are a great way to spark a conversation around a particular topic (your UGC campaign), but most importantly, it is the best way to identify the user-generated content that is being produced and have it gathered at the same place. Not only is this good because it allows your audience to go there for inspiration, but it is also a great idea because it allows you to quickly identify the content that is being shared. Therefore, when you’re encouraging your customers to share user-generated content, whether it is through a contest or a rewarding campaign, create a personalized unique hashtag that doesn’t have a lot of posts shared with it, and ask everyone who creates UGC to incorporate your hashtag in their post. Coca-Cola did this, as mentioned earlier, and Daniel Wellington does this with their #DWpickoftheday/#danielwellington hashtags, and RedBull did this with their campaign #PutACanOnIt. Moreover, incorporating hashtags is an effective way to get your audience engaged in each other’s work, and to spark interactions, getting people more engaged in your brand. Remember that a reason you don’t have a lot of user-generated content, or more correctly, believe that your audience isn’t creating any, might just be that you can’t find it. The truth is that you don’t always have to give the people who create and share user-generated content gifts and coupons in order to convince them to start sharing it. In fact, sometimes, a small gesture might be all that’s needed to increase the UGC being shared about your brand. Obviously, you’d be more likely to share another piece of user-generated content for a brand if the brand acknowledges you and thank you, right? If you’re sharing UGC, but the brand isn’t acknowledging it, that’s no fun. Therefore, it is important to show appreciation and acknowledge the people who share UGC – whether you give them gifts or rewards. In fact, you should do this to everyone, no matter what. Doing this is also a tremendous way for you to build deeper connections with your audience, and make them more loyal to your brand because you show them that you appreciate them. And humans love to feel appreciated and acknowledged. Remember that I talked about making your audience part of your marketing, and part of your brand? It’s such an important and effective way to increase user-generated content, so it’s well-worth elaborating on that. There are a million different ways you can make your audience part of your brand, and there’s nothing that is stopping you from using several of them. In fact, showcasing your audience’s work might be the ultimate way of thanking them, because it shows them that you truly enjoy their content. Create a particular section on your website where you showcase your audience’s work (and, even better, include an introduction of the people who have created it). This is my absolute favorite method, as what it does is help humanize your brand, and showcase real people, who have real experiences with your brand, thus making you more authentic and transparent. Create a ”Top UGC of the month/week” where you showcase and reward your most loyal and frequent UGC sharers. If you want to take it even one step further, you can even contact your most loyal UGC creators and have them produce a more extensive piece of content on your blog. If you’d like, you can even offer them a payment for doing this. The more you value your audience, the more they’ll value you. And when they value you, they’ll be more likely to share UGC content, as they’ll also be more engaged in your brand. You now know that incentives, whether a simple ”thank you” or gifts are the most important parts of getting people to take the step of sharing user-generated content. But one way to encourage more UGC is to ask your audience questions – questions they can answer by sharing user-generated content. For instance, if I am selling rollerblades, and I want to know when and how my customers are using them, I can ask the question ”How are you using your rollerblades? Show us by sharing a photo or video of you using them! We’d love to see!”. It doesn’t have to be more complicated than that. You can also ask questions about how your brand and products have helped improve your customers’ lives. This means that your audience will be producing a kind of testimonials, something that has also proven to be effective in marketing. The reason you aren’t getting a lot of user-generated content might be because you just don’t have a large audience on social media. Not only do influencers have large audiences, but they also have an engaged audience, which is extremely important in getting people to perform a task. Obviously, it doesn’t matter if you have 100 or a million followers if they aren’t doing what you ask them to, right? But the audience of most influencers look up to the influencer and trust their words, so when the influencer ask their followers to do something, they’ll be much more likely to do it. Influencer marketing has shown to be extremely effective in marketing, and the most important reason for this brings me back to what I said at the very beginning of this article. Few people trust brands, but 92% of people trust peers – even if they don’t know them. 49 percent of consumers rely on influencer recommendations. Influencer marketing campaigns generate $6.5 in earned media value for every $1.00 invested. A large audience, and trust. Therefore, by partnering with influencers, and having them promote your user-generated content campaign, you can make more people aware of it, and ultimately gain some traction for it. There’s a bunch of ways you can partner with influencers to have them promote your brand and make more people start sharing user-generated content for you. The best method, though, is if you have a contest where people have to share UGC in order to join, you can team up with influencers to help you spread the word. As mentioned, the better prize you have, the more contestants you’ll have. However, if you don’t have an audience from the beginning, it will be hard to gain traction, right? When partnering with influencers to get more people to share user-generated content for your brand, there are a few things you want to have in mind though. It’s important that you partner with influencers who are relevant to your brand. If they aren’t the campaign will come off as inauthentic, and people won’t listen to it. What’s more, if you partner with influencers who aren’t relevant to you, there’s a great chance that the people who follow the influencer aren’t interested in the industry you’re in. For instance, if you’re a brand that is in the dog industry, you’ll reach the wrong audience if you’re partnering with influencers who are within the cat niche. I mentioned that followers don’t mean anything if they aren’t engaged, and this is true for influencers too. While influencers, in general, have an engaged audience who listen carefully to their words, not all do, and this is why it’s important to be selective with the influencers you partner with. Don’t just look at the follower count of the influencer, but go into more detail, and look at things like engagement rate, what their audience is commenting, etc. The general misconception is that the more followers an influencer has, the better, but that isn’t always true. And you know by now that what truly matters is the engagement of your following. As the follower count increases on social media, the engagement rate tends to decrease. This is something that happens to the vast majority of accounts. But at the same time, influencers tend to increase their rates for promotions based on follower count. This means that you’ll most likely have to pay more ”per result” than you might have to if you partner with influencers who have a smaller following, but a more engaged audience. This is why micro-influencer marketing has increased dramatically in popularity in recent times. Micro-influencers are influencers with a smaller following than the major influencers, generally between 5k and 100K followers, but they are also known to have a very specific and engaged following, thus being able to drive you better results at a lower cost. This is why it’s important to not just factor in follower count when deciding what influencers to partner with. The statistics that prove that user-generated content is effective in marketing are never-ending. And if you look at why user-generated content is so effective in marketing, it all becomes clear, because people trust their peers – a lot more than they trust brands, and accordingly, user-generated content will be more trusted than professionally-created content. And by leveraging user-generated content into your marketing campaigns, you’ll impact your audience a lot deeper. The good news is that people are sharing more things than ever on social media, and this includes content about brands, too. So if you are just identifying that content, and encouraging your audience to create it, you’ll have an abundance of user-generated content that you can leverage in your marketing.